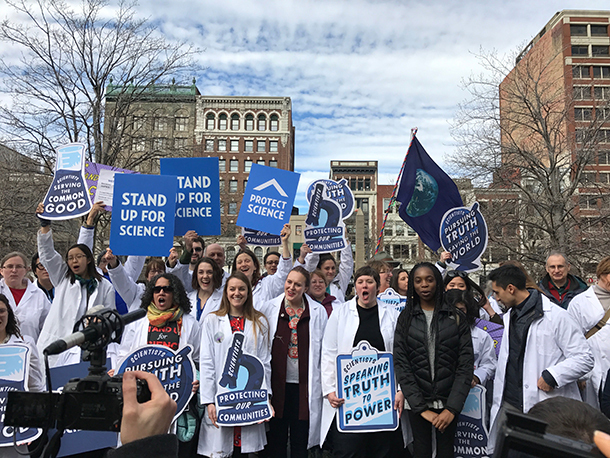 Hundreds of scientists and supporters rallied in Boston’s Copley Square on February 19th, 2017, to affirm the importance of science, research, and factual reporting of results. Early moves by the Trump administration, including gag orders and travel restrictions from some countries, raise fears of political interference, data loss and censorship. Living on Earth’s Jenni Doering and Jaime Kaiser report to host Steve Curwood on the mood at the rally, and the message from the square. Noam Chomsky spoke at Third Boston Symposium on Economics on February 10th 2014, sponsored by the Northeastern University Economics Society http://www.northeastern.edu/econsocie… in Boston, MA. Chomsky argued that certain factors, among them cutting federal funding for research and development and the growing gap between the richest 1 percent and everybody else, have led to the country’s current economic climate. Chomsky focuses on what economic actions that government, the super rich and corporations are doing that insures the US and other economies fail for the overwhelming majority of people. We’re a nation whose leaders are pursuing policies that amount to economic suicide. Climate change is the greatest challenge we will face this century. Indeed, the worst-case scenarios paint an unimaginable vision of large tracts of the Earth rendered uninhabitable, the collapse of global food production, mass species extinction, the acidification of the oceans, substantial sea-level rises and storms and droughts of growing intensity. Yet, despite the need for dramatic economic and political change, corporate capitalism continues to rely on the maintenance of ‘business as usual’. In this special event a panel of leading thinkers explore how business has responded to the climate crisis and what a more constructive role might involve? Based on the new book Climate Change, Capitalism and Corporations: Processes of Creative Self-Destruction by Christopher Wright and Daniel Nyberg, discussion will explore the links between corporate capitalism and human-induced climate disruption, the dominance of a ‘fossil fuels forever’ imaginary, and the possibility of alternatives to ‘business as usual’. Dr. Stephen Hicks gives an overview of the tragedy of the commons and explains the opposing views on its cause and solution. Garrett Hardin on human nature and the Tragedy of the Commons. We evolved to handle immediate dangers, not long-term crises. Discussion of Marxism, religion, and sustainability. Marketing versus indifference to the future. What can we do? Reward for correct behavior on terms of tax incentives and family planning. Video copyright 1990 Educational Communications, Inc. PO Box 351419, Los Angeles, CA 90035. 310.559.9160. Permission required for other than personal viewing.